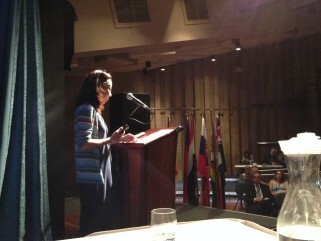 Dr Keiko Tamura speaks with Internment Symposium delegates at the Cowra Civic Centre. 7 March, 2014. Photo by Mutsumi Tsuda. 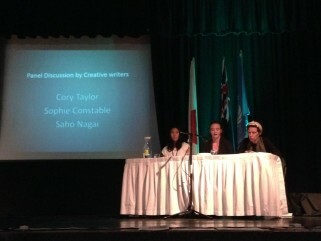 Internment Symposium creative writing panelists L to R – Dr Saho Nagai, Dr Sophie Constable and Dr Cory Taylor at the Cowra Civic Centre. 7 March, 2014. Photo by Mutsumi Tsuda. 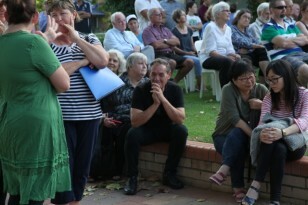 Internment Symposium artists’ panelist Mayu Kanamori at the Cowra Civic Centre. 7 March, 2014. Photo by Mutsumi Tsuda. 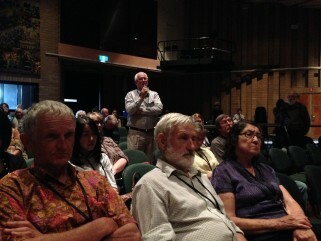 Questions by Internment Symposium speaker David Houston, OAM Front row L to R – former internees Herbert Girschik, Peter Girschik and Helga Griffin Girschik at the Cowra Civic Centre. 7 March, 2014. Photo by Mutsumi Tsuda. 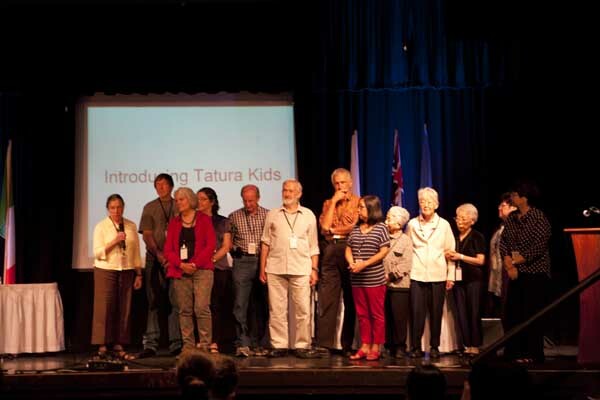 Former internees from Tatura Internment Camps “Tatura Kids” at the Internment Symposium L to R Ilse Beilharz, Eberhard Frank, Dr Silke Hesse, Helga Griffin Girschik , Dr Theo Baer, Peter Girschik, Herbert Girschik, Melba Oki, Miyoko Watanabe, Evelyn Suzuki, Yoko Murayama , Mary Oki Bourne and Dr Yuriko Nagata. 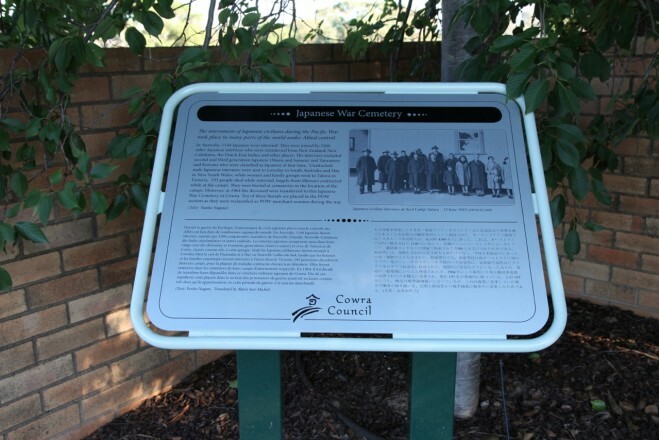 at the Cowra Civic Centre. 7 March, 2014. 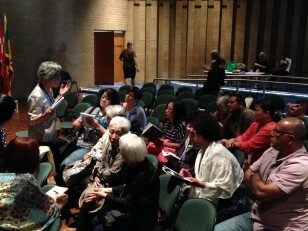 Photo by Mayu Kanamori.